EPIC Entertainment’s Acro Yoga Duo performance is a breathtaking gymnastic performance requiring flexibility, balance, strength, grace and a true connection between performers. A fantastic choice as an ambient performance or as a short featured show, our Acro Yoga Duo will captivate and inspire audiences of any age. 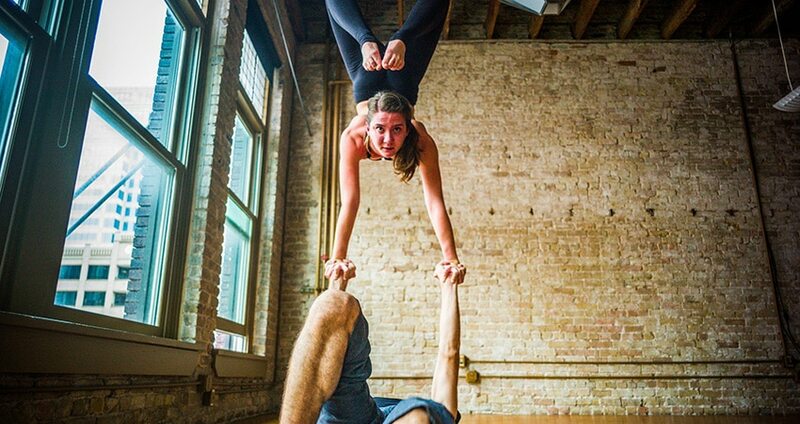 Watch in amazement as the two performers climb through the air, striking beautiful and challenging poses with nothing but their partner as a counter-balance. 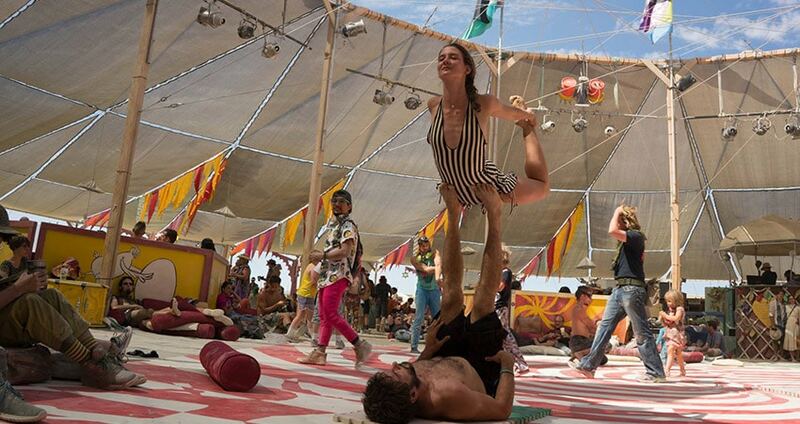 Acro Yoga Duos embark on a series of gymnastic movements using one person as a base and another as a flyer. It is the job of the base to hold the flyer above the ground as the flyer achieves several dynamic positions, each demonstrating the remarkable concentration of both parties. The truly amazing aspect of the performance comes with the calm and fluid movement between the pair. As the duo transitions from one pose to the next, they must remain in perfect balance and unity, or risk falling. In time, the lines between the base and the flyer are blurred, and the performers seem to act as one. The effect is truly remarkable! 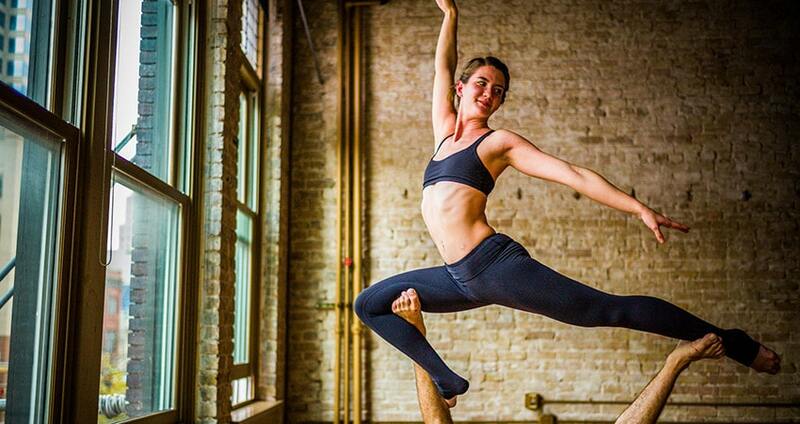 Based out of Austin, Texas, our Acro Yoga performances can be outfitted with the theme of your choice. Each EPIC Entertainment acrobat is well equipped to customize performances to match your needs. Whether you’re hoping for a salsa flair, a classic carnival sideshow, or something a little more whimsical, we can fit our performance right in with the plan for your central Texas event. True professionals of their craft, our performers are also comfortable working alongside live music performances, with their own customizable soundtrack, or in blissful and serene silence. No stage is required, as the act will quickly gather a crowd, regardless of setting. 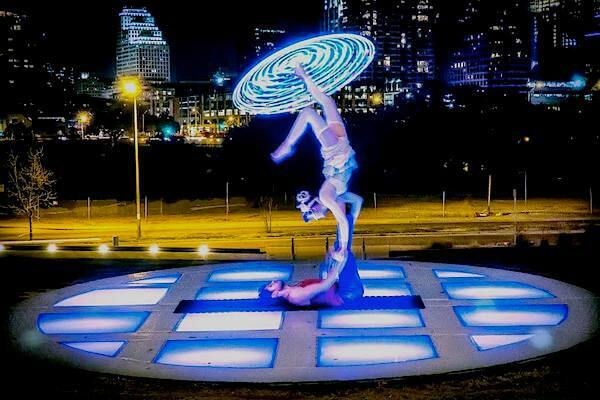 This unique and enchanting performance art is truly one of the most memorable and impressive acts you’ll find in Austin. To learn more, contact EPIC Entertainment today! How much space do your performers need? The only space limitation in regards to the performance is ceiling height. Our performers need enough clearance to stack two adults on top of each other! Can your performers prepare a playlist for their show? Yes, and they can even customize the music to fit your needs. I’m planning a themed event. Can your performers wear costumes to match my theme? Absolutely! With enough notice, our performers can match whatever theme you’re doing. 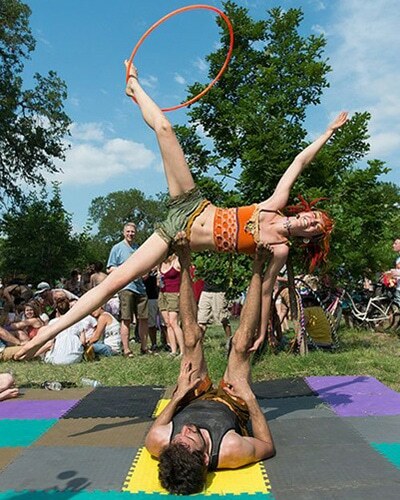 Can the Acro Yoga Duo do a featured performance? Yes! Our duo loves to do featured shows!